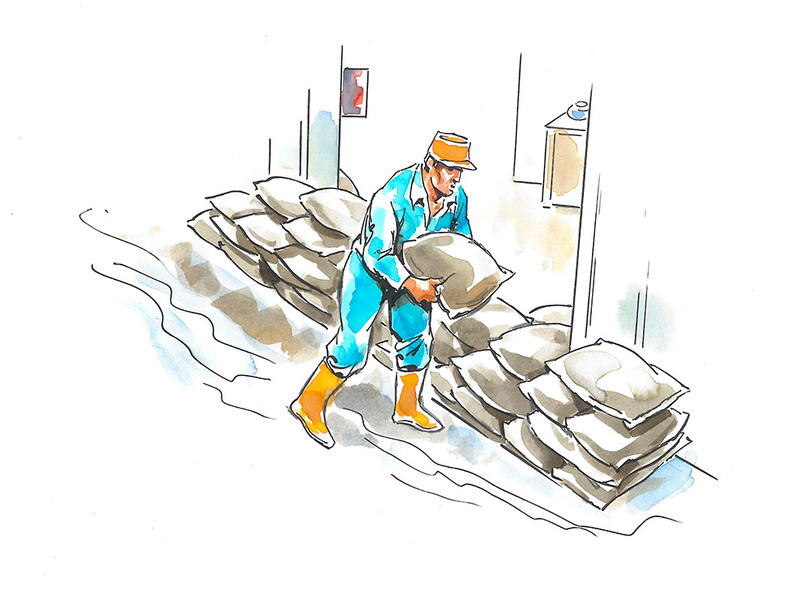 Slim Fat is an innovative sack made up of a natural juta bag filled with a sealed hygroscopic dose of a special product, which wet with freshwater expand itself and form a barrier to prevent floods. This product made up of a double juta bag with an internal dose, inserted manually by our operators is able to increase is weight and his volume from 650 gr to 23 kilos in only 3 minutes. Slim Fat is the best solution to protect yourself from floods in few minutes. The entire production process in entirely made in Italy in our headquarters, this method permits us to follow every step and guarantee quality and security standards. 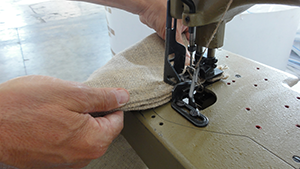 After a strict selection of raw materials we arrange and insert the second juta bag inside of the first, this step give a surplus value to the final product, increasing endurance and resistance. 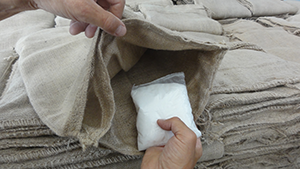 The further step consist in putting the absorbent substance in a sealed hygroscopic bag that doesn’t permits the oxidation of the product in a long period. We start from natural juta bag. We accurately insert the second juta bag inside of the other. We place the sealed dose into the double bag. We create vacuum-sealed nylon bags of 5 pieces. 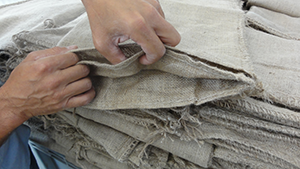 Why have you to continue to use an heavy, uncomfortable, bulky and old sand bag? 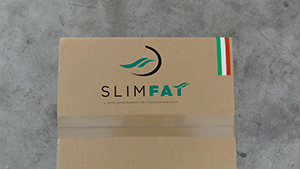 Slim Fat is the lightest, fastest and ready-to-use solution, that permits you to save spaces. 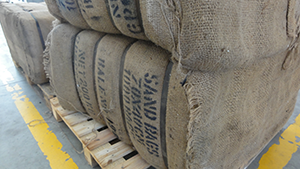 Why Slim Fat beats a common sand bag? Discover here. With a dry weight of 650 gr Slim Fat is lighter, stronger and immediate in the use in respect to the sand bag. It can be used by everybody with no age restrictions. The sealed dose put in the double bag, and the vacuum-sealed pack are synonymous of quality and guarantee the conservation of the stored product up to 20 years. 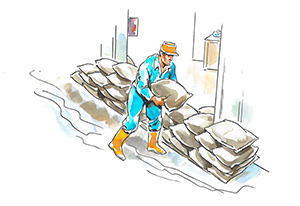 The small 4 kg pack is able to became a stronger anti-flood barrier, but only when you need it. You won't have to manage bulky loads anymore. Is it enough for you? In only three minutes you can built a solid and strong barrier to protect yourself from floods , avoiding to waste time in emergency situation. Eco-friendly and cheaper, a perfect couple. Slim Fat could be employed several times again after the first use. When it has finished is common use as anti-flood barrier you could reuse it as water reserve fot your garden. High quality raw materials, combined with artisans wisdom gives to the customer an unique product, completely different from actual global low quality standard. It helps to build a solid barrier for important inundations. Basements, garages, cellars and vault rooms can be protected in few minutes with no efforts. 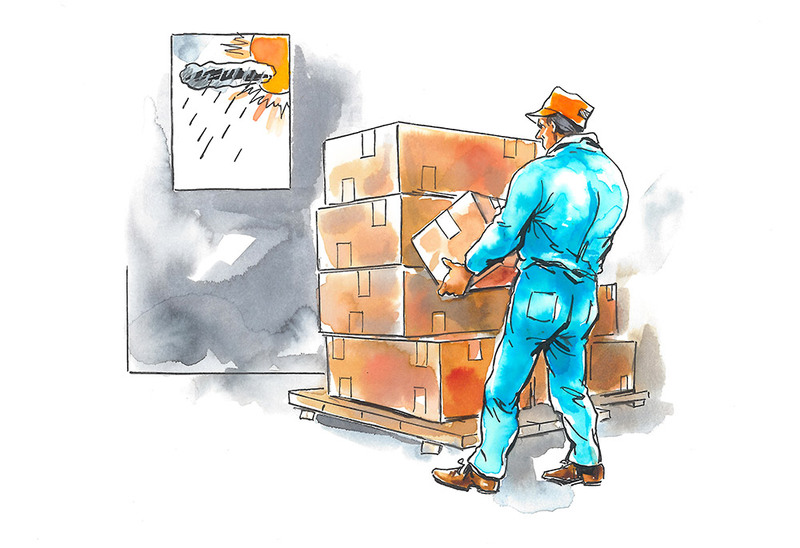 It can be used like a super-absorbent sponge for any type of fluid leakages, provided that these are emulsified with water. 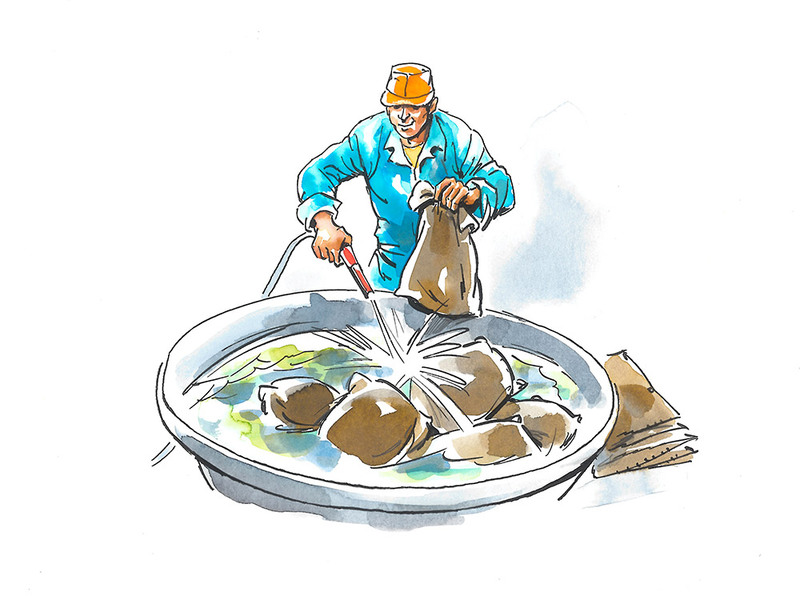 It is also perfect to absorb oils in the bilge. 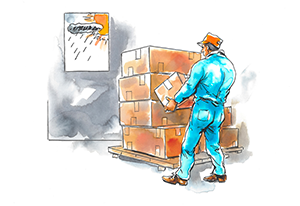 Due to the new insurance reimbursement regulations, it becomes a practical and economical tool to provide a compensation for calamities or accidents. Putting the dry sack into the fissure it will expand and clog up all cracks in the ship’s hull. 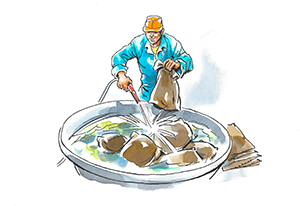 When water goes out from a manhole or from WC, the bag can be wedged into the cavity to stop the liquid flow. Slim Fat is an helpful way to create a solid support that hold up the collapsed soil. STEP 1: Pull out from the vacuum-sealed pack. STEP 2: Wet it before the placement. STEP 3: Place it to build an anti-flood barrier.